I have so many products that I love and have so little time to review and post about them all that I thought it would be nice to start championing them on a regular basis. If you look over there ———–> on the sidebar you’ll see Product of the Week. 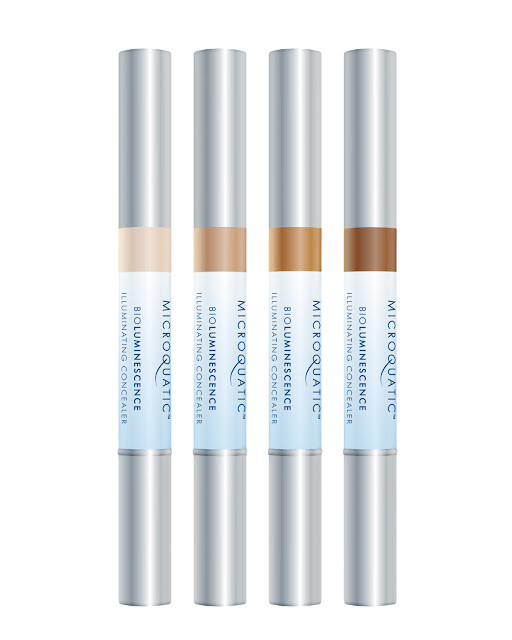 For the inaugural week I’ve chosen Sue Devitt’s Microquatic Illuminating Concealer SPF20 or ‘that Sue Devitt concealer/thing’ as I prefer to call it. There’s a lot to like about this product – I personally love the twist-pen applicator, the texture is perfect and it DOES NOT CREASE. I use the shade Great Sandy Desert (well they were hardly going to be called shades 1,2,3 or 4 with a title like that were they?). I think it’s the 2nd one up out of 4. It’s fine for my eyes and I even think I could go one darker in the Summer months. I use it under the eye and over the lid to brighten my black holes. Bliss. The folks at Sue Devitt were so thrilled to be POTW that they have offered one lucky BM reader the opportunity of trying it for themselves. Simply leave your email/twitter id in the comments section and they will pick one the winner next Monday 22nd August.